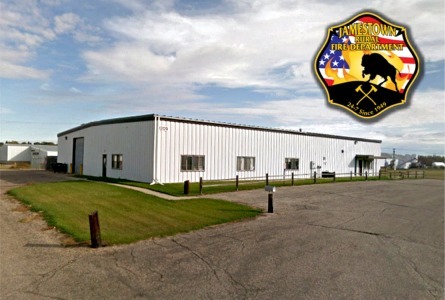 Jamestown (CSi) Voting at the Jamestown Rural Fire Department concerning the five mill property tax, for a new rural fire hall was termed, “moderate,” as of mid-Tuesday afternoon. Brian Paulson says the polling, location, open to residents of the Jamestown Rural Fire District, not Jamestown city voters, is open until 7-p.m., Tuesday. He says a simple majority of yes votes is needed to pass. Jamestown (CSi) Voters in the Stutsman Rural Fire District will vote Tuesday on whether or not they approve a five mill property tax levy to fund the construction of a new $2.8 million rural fire station. The polling place will be at the present rural fire hall at 205 3rd Avenue Northwest in Jamestown, with the polls open Tuesday from 11-a.m., to 7-p.m. Eligible voters live in the City of Spiritwood Lake, plus residents rural the fire district including those in the townships of Ashland,Bloom, Buchanan, Corwin, Deer Lake, Eldridge, Fried, Hidden, Homer, Lenton, Lippert, Midway, Plainview, Sydney, Winfield, Woodbury, and Ypsilanti. Residence in the City of Jamestown are not eligible to vote. Stutsman County auditor/chief operating officer, Nicole Meland, points out that the rural fire district is its own taxing jurisdiction certifying its own property tax levy, and is able to hold its own elections regarding property taxes. If approved by voters, Tuesday, the rural fire district would apply for a 30-year loan from the U.S. Department of Agriculture Rural Development Community Facilities Direct Loan and Grant Program, which determines the mills the district uses each year and the amount, and the five mills would cover the loan payment is for the first year. A full five additional mills would raise about $180,000 annually and a residential property with a true value of $100,000, a property owner would see an additional $22.27 in taxes in annual taxes if approved by voters, with the estimated annual loan at 3.875 percent, and an annual payment of $160,913. The Jamestown Rural Fire Department has closed to purchase a building at 1209 9th Street, Southeast, in Jamestown from Century link at a cost of $625,000, to enable the rural fire department to keep all of it’s vehicles and equipment at one location, including an addition to the building.